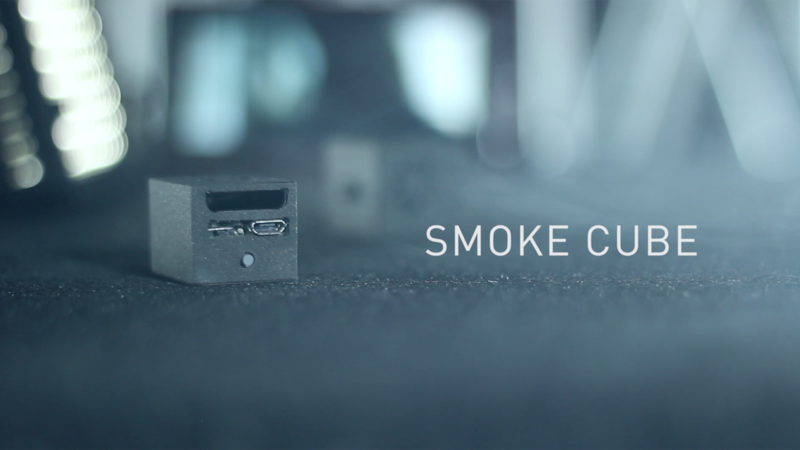 After the success of JoÃ£o Miranda's smoke watch (performed by David Copperfield on TV), is the highly-anticipated arrival of SMOKE CUBE. It is the smallest smoke machine in the world, created with the professional in mind. - It's got a great grip surface that allows you to classic palm it easily, due to the anti-slippery material used in the construction of the gimmick. That way, you can apparently show your hands empty while producing a beautiful cloud of smoke. - It is programmable from 1 to 20 seconds, meaning that you can be hands free when the smoke is produced. - The cube has one built-in strong magnet at the bottom, so that you can attach it to any prop in a moment's notice, or even to your jacket's sleeve. - You can install the cube into any illusion like the Devil's Hank or even the classic Smoke Glass, GREATLY enhancing the final effect. - The unit vibrates right before the smoke starts producing. This is essential for the working professional. - There are no remote controls to worry about. Everything is self-contained in the device. 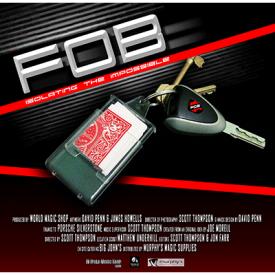 - The cube allows for a reel attachment, so the magician can show his hands empty after the smoke production. - The battery is rechargeable by the included USB cable. - Refilling the gimmick takes only 3 seconds, and you can do it on the go. - For FREE, you receive an extra custom piece with a built-in magnet, so that you can attach the smoke cube to a pocket, a prop or even sew it to a cloth. - Due to the way the cube is engineered, you can activate the gimmick while in classic palm without the help of the other hand. 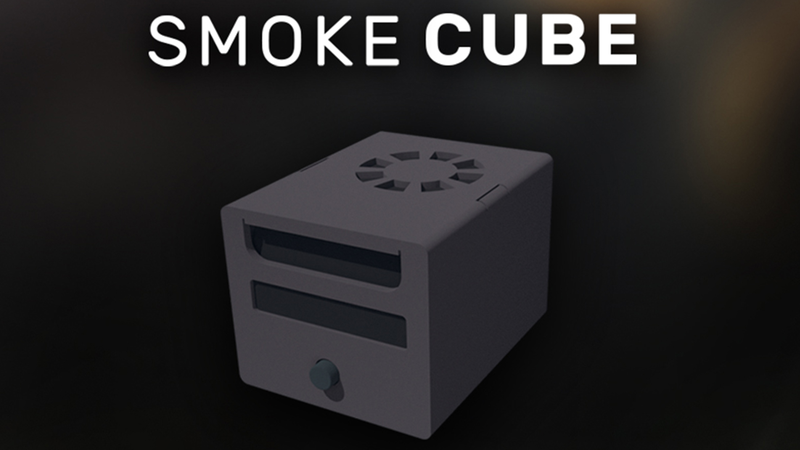 - The SMOKE CUBE allows for programming (smoke delay after the button is pushed) or you can activate the live mode (the smoke is produced continuously until the button is pushed again). The device comes ready to use with a custom-made EVA pouch for transport, USB cable, liquid, and full instructions. 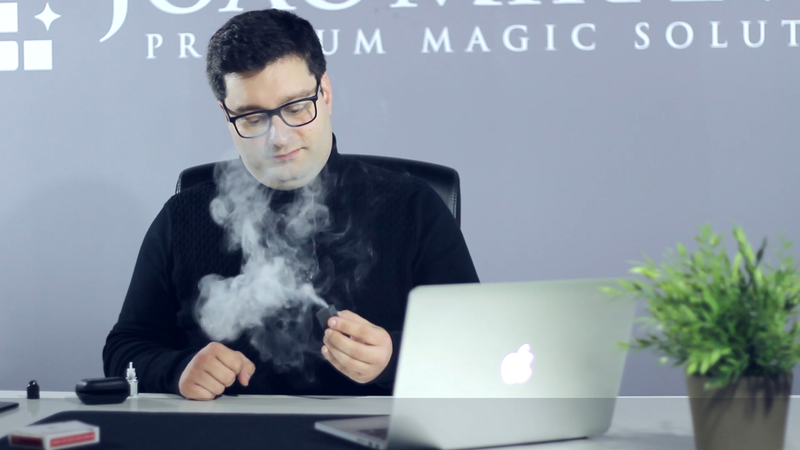 SMOKE CUBE is proudly made in Portugal by JoÃ£o Miranda and his incredible team, known for producing some of the finest magic in the world today. 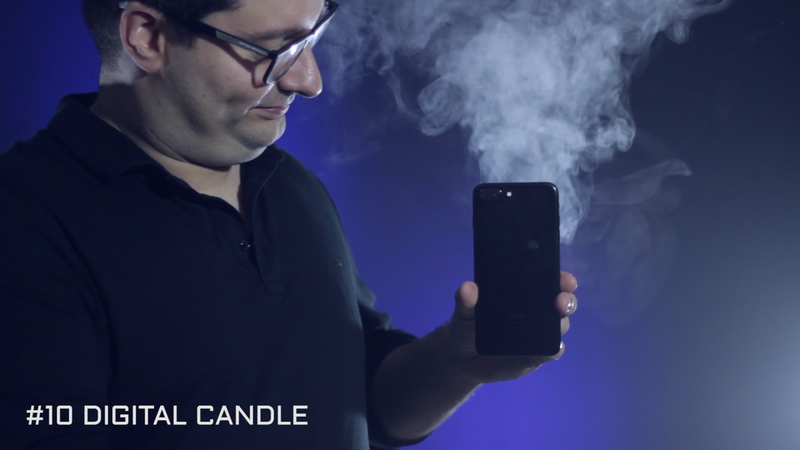 This thing is so small and yet produces so much smoke – finally – this is the smoke device you’ve always wanted. Look no further.